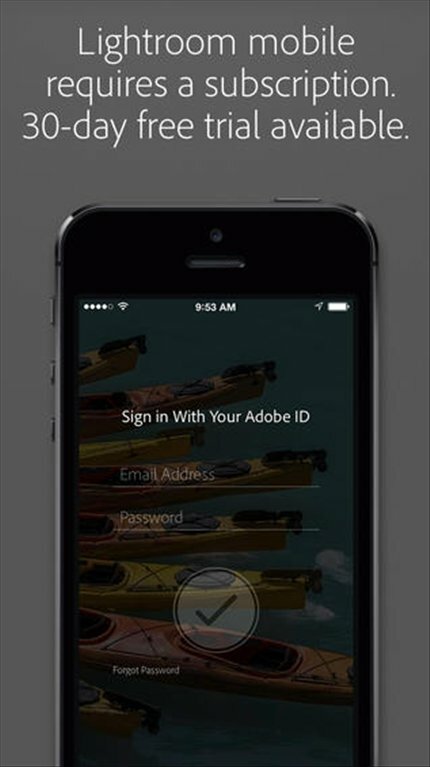 To be able to take your photos with you and carry out small adjustments, wherever you are, you need Adobe Lightroom for iPhone. 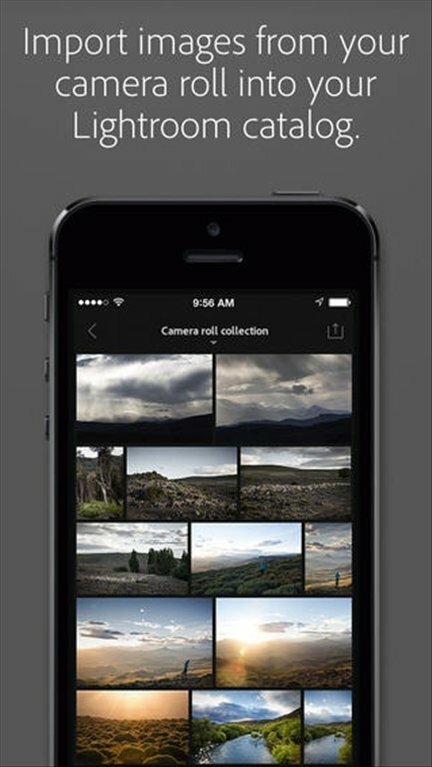 This is the perfect solution to modify, organize and share your images. The best showcase for your images. 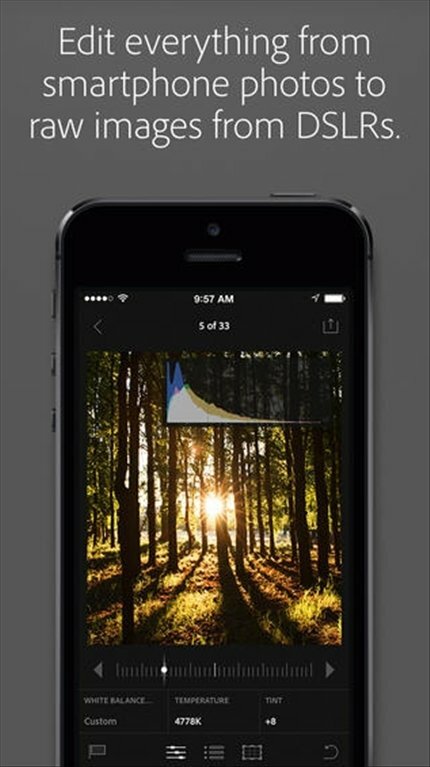 Allows you to edit both photos taken with your mobile device, as well as RAW images taken with your DSLR. Incorporates all the functions included in the version for iPad, but perfectly adapted to the smaller size of the iPhone's screen. Perfect synchronization with the program's versions for other platforms like PC and iPad, thanks to Creative Cloud. Compatible with almost all image formats. 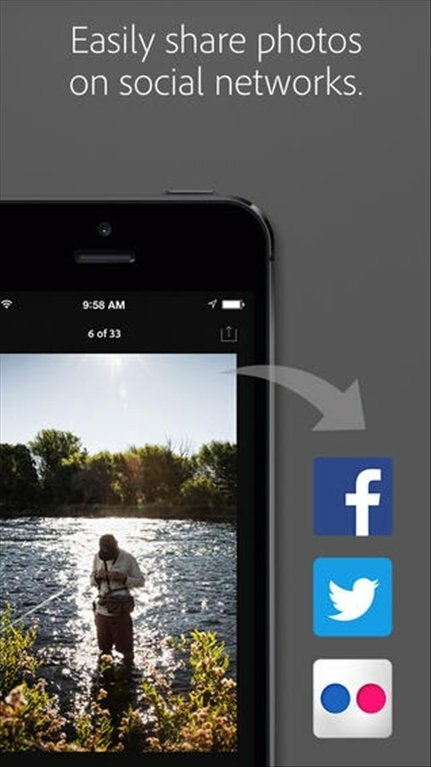 Possibility to share your photos on social networks. 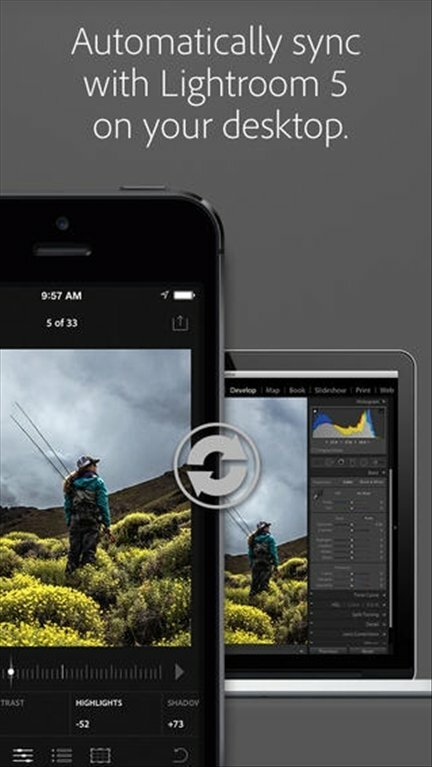 Download Adobe Photoshop Lightroom for iPhone, the perfect complement for amateur photographers or professionals that want to make the most of their photos.